Baby almost killed by wrong syringe after hospital mistake. News in 5: Hospital mistake almost kills baby; Steve Smith's tears; Grenfell inquiry. 1. “He was just limp.” Baby boy almost dies when hospital doctor injects him with wrong drug. 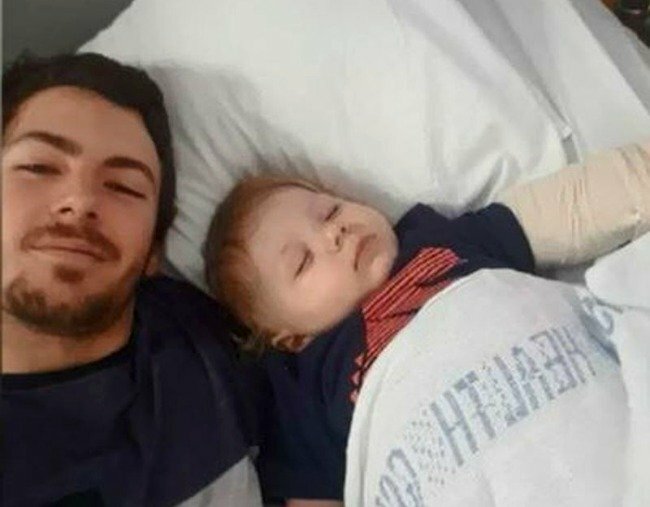 Declan Campbell’s trip to a Sydney hospital almost ended in devastation after the wrong syringe was used on the baby boy making him immediately “limp”. His mum, Jessica Newsome, told Nine News she took him to Nepean Hospital’s emergency department in February concerned about a bump on his head after he fell from his cot. She said medical staff recommended the baby undergo a CT-scan to check there was no damage, but that he required sedation because he was so young. And Jessica said that’s when a doctor made a crucial error, accidentally injecting Declan with a syringe of suxamethonium instead of the much more mild anaesthetic drug ketamine. Both syringes were on the same tray. Suddenly, the baby went limp, while his lips turned blue and he struggled to breathe. “His body just froze,” Jessica said. Medical staff immediately went to work to resuscitate the boy, who stopped breathing for 90 seconds, and he was treated in the emergency department. Nepean Hospital’s director of medical services Dr Peter Thomas told Nine News the parents received several apologies and the Sydney hospital launched an investigation into the incident. 2. Canberra man jailed after subjecting son to weeks of abuse before murder. A Canberra man who subjected his young son to weeks of abuse before killing him has been sentenced to jail. Nine-year-old Bradyn Dillon was subjected to cigarette burns and was thrown against walls, Seven News reports. Then one day in 2016, Graham Dillon hit his son on the head and did not call an ambulance, despite the boy lying unconscious for hours. Bradyn died as a result of his injuries. On Monday an ACT judge sentenced Dillon to at least 41 years in jail after he pleaded guilty to murder, 36 for killing his son and five more years for additional charges including threatening to kill and choking. 3. Grenfell Tower fire inquiry hears advice given to residents "effectively failed" with half an hour. Residents of London&apos;s Grenfell Tower housing block should have been told to get out quickly rather than stay in their flats as flames engulfed the building and killed 71 people a year ago, a public inquiry heard on Monday. The Grenfell Tower blaze, Britain&apos;s deadliest on domestic premises since WWII, shocked the nation and raised questions about the state of its social housing, building regulations and fire safety protocols. The fire started just before 1am on June 14, 2017, in the kitchen of a flat on the fourth floor. It broke out of that apartment, ignited the cladding around the outside of the building, and reached the 23rd floor within half an hour. Expert reports released by the public inquiry in London on Monday, the first day of oral hearings into the causes of the fire, pointed to a combustible external cladding installed during a 2012-2016 refurbishment as the main cause of the rapid spread of the fire. Residents who called the London Fire Brigade in the early stages were advised to stay put in their apartments, in line with the standard policy for fires in high-rise residential blocks. But eminent fire safety engineer Barbara Lane, in her report to the public inquiry, said the magnitude and complexity of the blaze meant the strategy was inadequate. "I consider the Stay Put strategy to have effectively failed by 01:26," she wrote. "There was an early need for a total evacuation of Grenfell Tower." In fact, the guidance was not abandoned until 02:47, by which time the tower&apos;s single staircase was filled with thick, toxic black smoke, according to evidence examined by Lane. A London Fire Brigade spokesman declined to comment on any specific evidence emerging from the public inquiry, but said in general terms that the "stay put" advice had not changed since the Grenfell Tower fire. "Our advice remains the same and that is to &apos;stay put&apos; if a fire breaks out in another part of the building and you are not being affected by the fire, heat or smoke," he said, adding that if people left their flats they could be rushing into danger. However, the advice has been temporarily suspended for about 100 buildings in London that have similar cladding to the one used on Grenfell Tower. So far, there are 16 blocks in London where cladding has been removed and the advice in those has reverted to the stay put policy. More than 50 firefighters who took part in the rescue effort at Grenfell Tower are due to give evidence to the public inquiry in coming months. In parallel with the public inquiry, police have also launched an investigation which they say could result in criminal charges against individuals or organisations involved in the building&apos;s history. 4. Cricketer Steve Smith admits he cried for four days after ball-tampering scandal. Steve Smith. Image: Getty Images. Steve Smith has opened up about the personal lows that followed Australia&apos;s cheating scandal in Cape Town, saying he spent four days in tears. Smith and David Warner were among the players snapped up in Sunday&apos;s inaugural draft for the Global T20 Canada, a tournament that will be hosted entirely at a ground on the outskirts of Toronto. The Twenty20 event, which runs June 28-July 15, will be Warner and Smith&apos;s first taste of competitive cricket since the ball-tampering saga derailed their careers. Smith continues to train in private, doing some work in the nets with the help of his dad. The former skipper spoke to students at Sydney&apos;s Knox Grammar School on Monday as part of his charity work with the Gotcha 4 Life Foundation. "I probably spent four days in tears. I was really struggling mentally," Smith told the assembled crowd during a discussion about mental health. "It certainly was the toughest thing that I&apos;ve had to do." Smith and Warner, both stripped of their leadership positions and estimated to have lost at least $5 million each in sponsorship and playing contracts, remain banned from international cricket until March. The suspensions also cover domestic T20, one-day and first-class cricket in Australia but the disgraced duo, along with Cameron Bancroft, are free to play in leagues around the world. Warner will hit the track, gym and nets this month during some sessions with NSW, who returned to work on Monday following their off-season break. "Thanks to the Winnipeg Hawks for selecting me to play in what will be a really competitive tournament. Prep steps up this week in the nets," Warner posted on Twitter shortly after completing a 2km time trial with some NSW teammates. There could potentially be some awkward SCG catch-ups for the opener, who declared earlier this year he will do everything he can to "earn back the respect of the Australian public". Test quicks Mitchell Starc, Pat Cummins and Josh Hazlewood will soon ramp up their rehabilitation from injuries in Sydney. Warner&apos;s relationship with his Test teammates was strained during the ball-tampering scandal and ensuing fallout, in which Cricket Australia (CA) fingered the 31-year-old as the architect of a premeditated plan to cheat by using sandpaper to scuff the ball. However, new captain Tim Paine has repeatedly rubbished claims that members of the team told CA they never wanted to play in the same XI as Warner again. Warner will travel to Darwin after his T20 stint in Toronto, having already signed up to play a couple of one-day games in the NT&apos;s Strike League. Warner and Smith have both agreed to play grade cricket in Sydney this summer, for Randwick-Petersham and Sutherland respectively. 5. Study finds many women can safely skip chemotherapy for breast cancer. Most women with the most common form of early-stage breast cancer can safely skip chemotherapy without hurting their chances of beating the disease, says a landmark study that used genetic testing to gauge each patient&apos;s risk. The study is the largest ever done of breast cancer treatment, and the results are expected to spare up to 70,000 patients a year in the US and many more elsewhere the ordeal and expense of these drugs. "The impact is tremendous," said study leader, Dr Joseph Sparano of Montefiore Medical Centre in New York. Most women in this situation don&apos;t need treatment beyond surgery and hormone therapy, he said. The study was funded by the National Cancer Institute, some foundations and proceeds from the US breast cancer postage stamp and was published by the New England Journal of Medicine. Cancer care has been evolving away from chemotherapy - older drugs with harsh side effects - in favour of gene-targeting therapies, hormone blockers and immune system treatments. When chemo is used now, it&apos;s sometimes for shorter periods or lower doses than it once was. 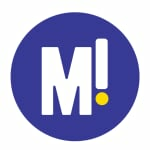 The breast cancer study focused on cases where chemo&apos;s value increasingly is in doubt: women with early-stage disease that has not spread to lymph nodes, is hormone-positive (meaning its growth is fuelled by estrogen or progesterone) and is not the type that the drug Herceptin targets. The usual treatment is surgery followed by years of a hormone-blocking drug. But many women also are urged to have chemo to help kill any stray cancer cells. Doctors know that most don&apos;t need it, but evidence is thin on who can forgo it. About 17 percent of women had high-risk scores and were advised to have chemo. The 16 per cent with low-risk scores now know they can skip chemo, based on earlier results from this study. The new results are on the 67 per cent of women at intermediate risk. All had surgery and hormone therapy, and half also got chemo. After nine years, 94 per cent of both groups were still alive, and about 84 percent were alive without signs of cancer, so adding chemo made no difference. All women like those in the study should get gene testing to guide their care, said Dr. Richard Schilsky, chief medical officer of the oncology society. Oncotype DX costs around $US4000. Similar tests including one called MammaPrint also are widely used.